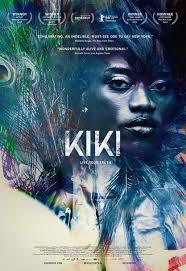 KIKI, a dynamic coming of age story about agency, resilience and the transformative artform that is voguing. KIKI offers riveting and complex insight into the daily lives of a group of LGBTQ youth-of-color who comprise the “Kiki” scene, a vibrant, safe space for performance created and governed by these activists. In this film collaboration between Kiki gatekeeper, Twiggy Pucci Garçon, and Swedish filmmaker Sara Jordenö, viewers are granted exclusive access into this high-stakes world, where fierce Ballroom competitions serve as a gateway into conversations surrounding Black- and Trans- Lives Matter movements. This new generation of Ballroom youth use the motto, “Not About Us Without Us,” and KIKI in kind has been made with extensive support and trust from the community, including an exhilarating score by renowned Ballroom and Voguing Producer Collective Qween Beat. Twiggy and Sara’s insider-outsider approach to their stories breathes fresh life into the representation of a marginalized community who demand visibility and real political power. Following its festival debuts, including a World Premiere at Sundance, KIKI will open in U.S theaters and on VOD starting February 24, 2017 in Los Angeles and in New York on March 1, 2017. Director Sara Jordenö joins us to talk about her vibrant, intimate and liberating new film. Director Sara Jordenö and stars will participate in Q&A’s after the 7:10 shows and introduce the 9:55 shows at the Monica Film Center on Friday and Saturday, February 24 and 25. A haunting, artfully understated critique of American gun culture, Tim Sutton’s third feature is loosely based around the 2012 massacre in Aurora, Colorado that took place during a multiplex screening of “The Dark Knight Rises.” Employing a documentary-style technique and a cast of non- professional actors, DARK NIGHT follows the activities of six strangers over the course of one day, the shooter among them. Shot by veteran French DP Helene Louvart (PINA), DARK NIGHT is essential viewing, not only for art-house filmgoers, but for anyone invested in the debate over gun violence in America as well. Helene Louvart has served as cinematographer on more than 65 feature films, 50 short feature films, documentaries, and television projects, including French director Agnès Varda “The Beaches of Agnès (French: Les plages d’Agnès) She won The César Award for Best Documentary Film in 2009. Also, she worked with Alice Rohrwacher, and shot the italian drama “The Wonders” (Italian: Le meraviglie) It was selected to compete for the Palme d’Or in the main competition section at the 2014 Cannes Film Festival, where it was awarded with the Grand Prix. 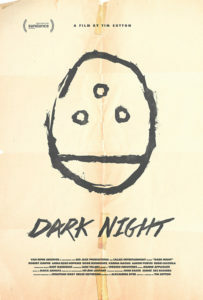 “Dark Night” was her first collaboration with Tim Sutton. Tim Sutton is the writer and director of two critically acclaimed feature films. PAVILION was a New York Times Critic’s Pick in 2013 and MEMPHIS was the winner of the inaugural Ven- ice Biennale College-Cinema grant in 2013, had its world premiere at the 70th Venice Film Festival, and international premiere at the 2014 Sundance Film Festival. MEMPHIS was also selected as one of The New Yorker Magazine’s Top 10 Films of 2014. Director Tim Sutton joins us to talk about his hauntingly poignant meditation on American gun culture and the vulnerability of life. Tomer Heymann’s MR. GAGA: A True Story of Love and Dance is a unique documentary experience that tells the story of the internationally acclaimed choreographer Ohad Naharin, who created the daring form of dance and “movement language” Gaga. When he was 22, he was invited to perform with the prestigious Martha Graham dance company, and attended Juilliard and the School of American Ballet simultaneously. But Ohad would not be happy until he could do exactly what he wanted. Moving back to Israel, Naharin became the Artistic Director of the Batsheva Dance Company, developing gaga within his own ensemble. Even after achieving worldwide acclaim, Naharin continues to fight every day, sometimes with his own dancers, once even with the president of Israel, to make his vision come to life. Mr. Gaga tells Naharin’s personal story of a controversial, political, and always entertaining figure, and his constant battle for artistic perfection. Eight years in the making, Mr. Gaga traces Ohad Naharin’s artistic roots using personal family footage, intimate rehearsal footage, extensive unseen archive material and stunning dance sequences. Heymann weaves a marvelous tale of what it takes to be a genius, the exhausting toll dance can take on its performers, and finally, the beauty that art can bring to this world. Director Tomer Heymann joins us for a conversation on the trials and triumphs of surpassing creativity and finding the sometimes difficult ways of expressing it. 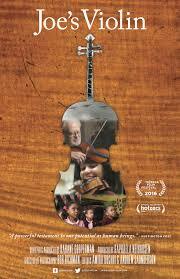 Joe’s Violin – During a drive to donate musical instruments to public schools, 91-year-old Holocaust survivor Joseph Feingold offers his beloved violin, which he has played for more than 70 years. The instrument goes to the Bronx Global Learning Institute for Girls, where young musician Brianna Perez is inspired to become friends with her benefactor. Joining us will be Director Kahane Cooperman to talk about this beautifully told story about survival, and the ties that bind us together. 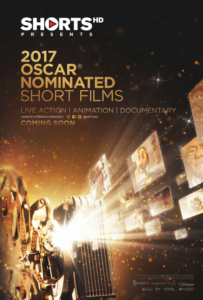 2017 Academy Award nomination for Best Documentary Short Film. 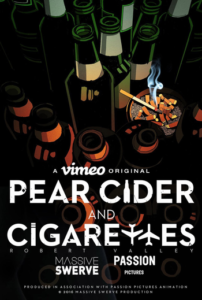 Pear Cider and Cigarettes – Hard-living Techno Stypes has been Robert’s best friend since childhood, and over the years, Robert has been amazed by Techno’s ability to sabotage himself. When Techno is hospitalized in China and needs a liver transplant, Robert goes on a wild ride to get him home to Vancouver. Director(s) Robert Valley and Cara Speller stop to discuss the creative process and determination behind their visually striking vision of friendship and heartbreak. 2017 Academy Award nomination for Best Animated Short Film. In 1952, a then-unknown young Egyptian colonel led a coup that became a revolution. Over the next 18 years, Gamal Abdel Nasser challenged Western hegemony abroad and confronted Islamism at home, and faced deep divisions among the Arabs. He emerged as a titanic figure, a champion of Arab progress and African liberation, but he could not offer democracy. Instead, Nasser established the region’s first authoritarian military regime. A man of enormous charisma and ambition, Nasser became caught in the coils of his own power, dying at the age of 52 with dreams unrealized. The Arab Spring and its aftermath are his legacy: a period of turmoil when Egyptians argued passionately about their history as a way to see what course to follow in the future. It is their voices—peasants and professors, secularists and Islamists—that drive Goldman’s essential documentary. 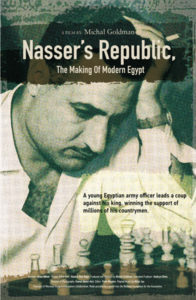 Nasser’s Republic, The Making of Modern Egypt Director Michal Goldman’s previous film, Umm Kulthum, A Voice Like Egypt (1996), a vibrant portrait of a superstar singer, was an official selection of the New York Film Festival, winner of the Golden Plaque for Documentary at the Chicago International Film Festival, and winner of the Promoting Tolerance Award from the American-Arab Anti-Discrimination Committee. Goldman joins us to talk about the historic significance of Nasser’s enormous influence on Egypt , the course of the Cold War and modern day Middle East. The explosion of information in the digital age left government agencies like the NSA struggling with bureaucracy and technology to keep up with the changing times. Responding to the challenge, NSA technical director Bill Binney and a small team of codebreakers develop ThinThread, an astonishingly effective data collecting and sorting program that also protects privacy. Despite its success, ThinThread is discontinued just weeks before September 11, 2001. After Binney and fellow intelligence officials challenge this decision, they find their world upended. The deeply disturbing journalistic docu-thriller about the system that could have prevented 9/11, but was stopped by lies and corruption at the NSA. The mass surveillance revealed by the whistleblower Edward Snowden was not the first scandal in the history of the American intelligence agency NSA. Friedrich Moser’s eye-opening A Good American soberly unfolds the deeply disturbing story of how corruption, lies and personal ambitions led to the closure of a cheap and effective monitoring system that demonstrably could have stopped the 9/11 terrorist attacks. The mind behind the ingenious system was former intelligence agent Bill Binney, whom Moser gives the opportunity to tell the whole story of how his brilliant system was abandoned in favor of an expensive, useless intelligence programm that in turn had the advantage of creating hundreds of jobs at the intelligence agency – and handsomely rewarded a number of former NSA employees. 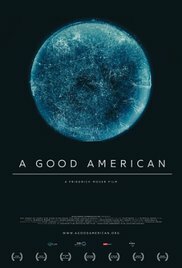 A Good American is a chilling docu-thriller of the most dizzying kind, and may well prove to be one of the year’s most important films. Director Friedrich Moser join us to talk about his compelling, frightening and essential documentary film.